You’ve probably heard of Spartacus. He is dead famous for: being quite a good gladiator, giving the Romans the run-around, and looking an awful lot like Kirk Douglas. 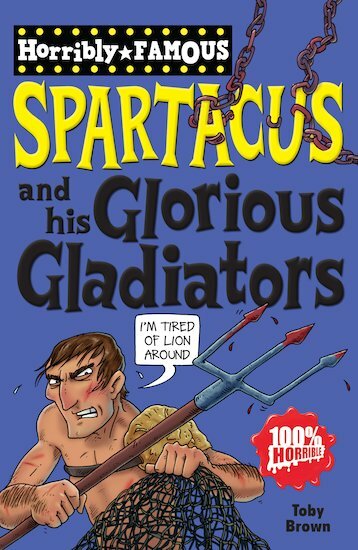 But did you know that Spartacus fought for the Romans as well as against them, camped his army of rebel slaves inside a volcano, and cut a deal with a bunch of double-crossing pirates? Yes – even though he’s dead, he’s still full of surprises! Read the inside story in Spartacus’s secret diary, catch up on all the latest battle results in The Daily Gladius, and find out how to keep the mighty Roman Empire at bay with just a few trusty followers and a cunning plan!